What a profound truth this quote reveals. I think of how my heart is healed and how deep my release from isolation is when another person just hears me. In that moment when I sense someone has entered in with me in my pain or my confusion or my joy I feel loved. It may sound simple, but it isn’t. I’ve found the key to listening is to be fully present and to use my ears and not my mouth and I’m good at this after many years of practice. But the kind of listening this quote talks about comes from a place of non-judgement and the ability to see the world through someone else’s eyes, without me projecting my thoughts, feelings, fears or experiences on them. I am working on this and when I feel I am projecting, that’s okay; I bring my attention back to my breath and back to the listening. I also know I have to abandon any thoughts or expectations about what I’m going to hear and be truly curious about what comes next. This I’m finding can be quite joyous and I notice a feeling of being filled with wonder as if I’m a kid again. 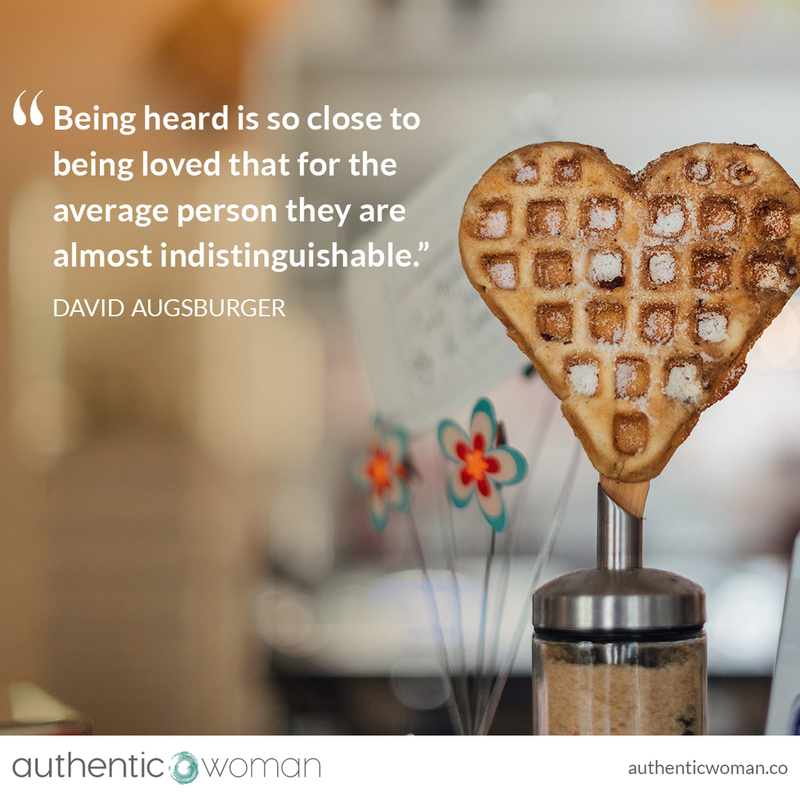 With this kind of listening we can offer love – how endlessly wondrous and encouraging. Have you listened to someone in this way lately? Maybe try it out this week.